Yesterday, we had some time to stroll about window shopping after taking a great tour, which included at stop at the National Mexican Art Myseum in Pilsen. 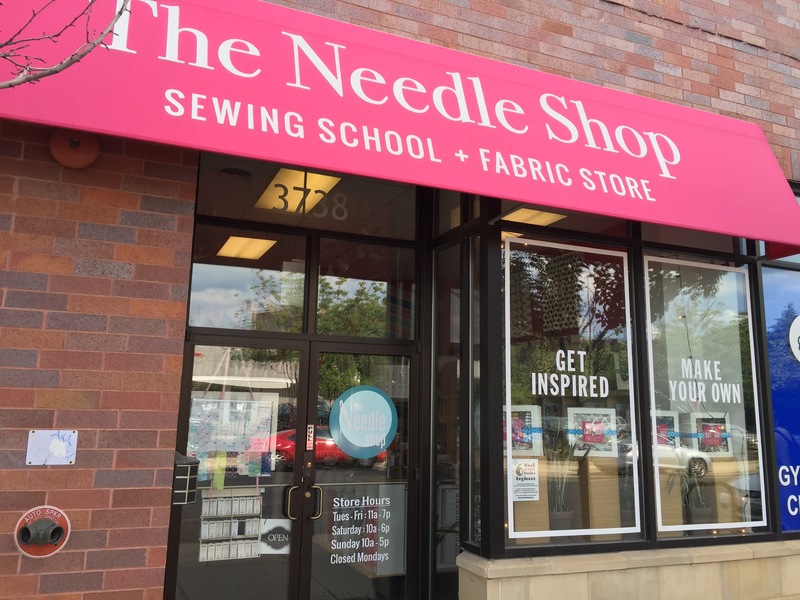 Following the planned tour, I had hoped we’d find time to visit a quilt shop that I had found online prior to our trip from Colorado to Chicago, called the Needle Shop. 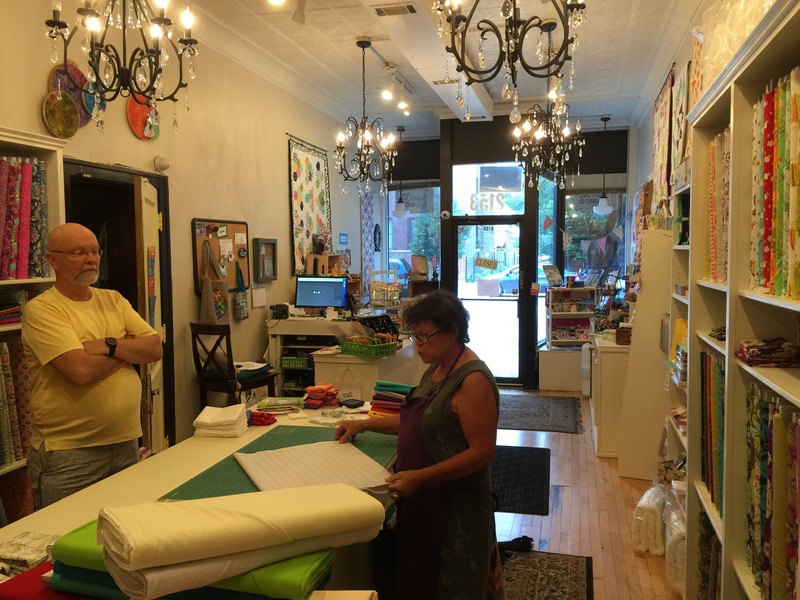 It’s not your basic quilt store, but a super artistic sewing and quilting space. The fabrics were carefully selected, and included some independent fabric designers, mixed in with the likes of Alexander Henry and Robert Kauffman. It’s really unique the way they transfer the fabric from standard flat bolts to a very cool wall of rolled bolts. 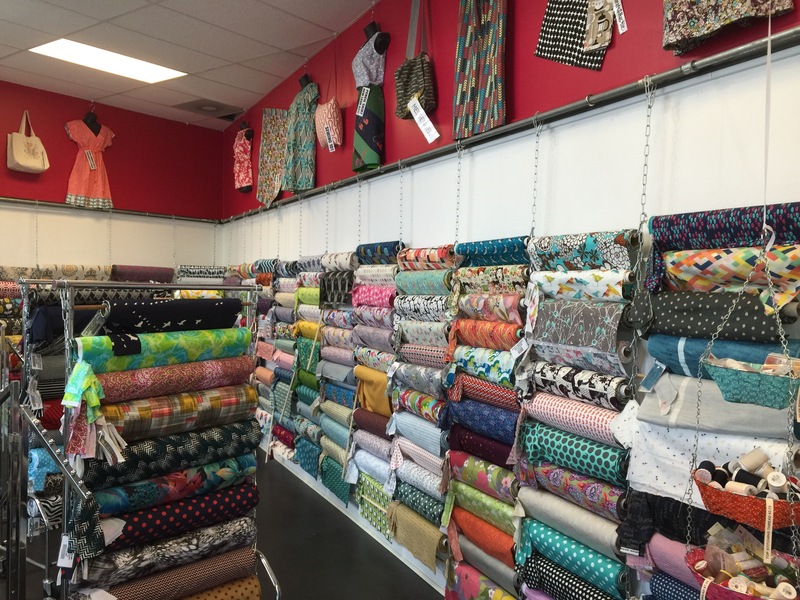 The fabrics are so easy to shop, and if you see something you like, they just unclip it and cut what you need. They also had heavier weight fabrics, buttons, zippers, and had specialty hardware tucked away smartly in cute little filing drawers. 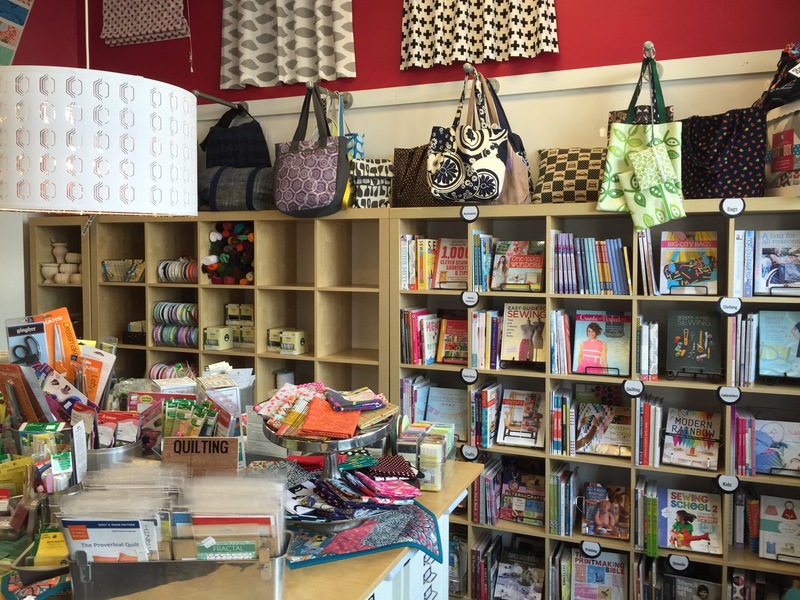 An impressive selection of books covered many sewing techniques. Rachel was very helpful with my selections, and I had a great time meeting her. 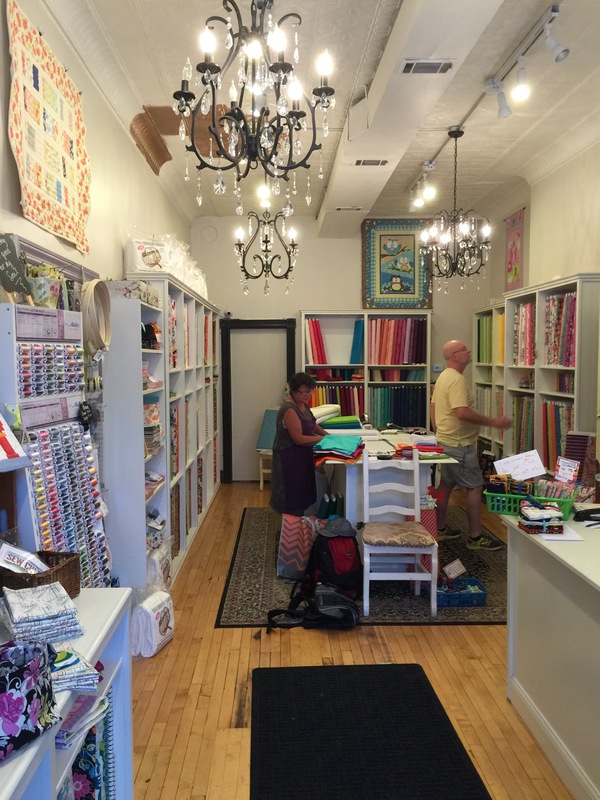 She also told us to go around the corner just a short distance to the Second City Quilt Company. After a bit of a walk, we found this cute little slice of a store. 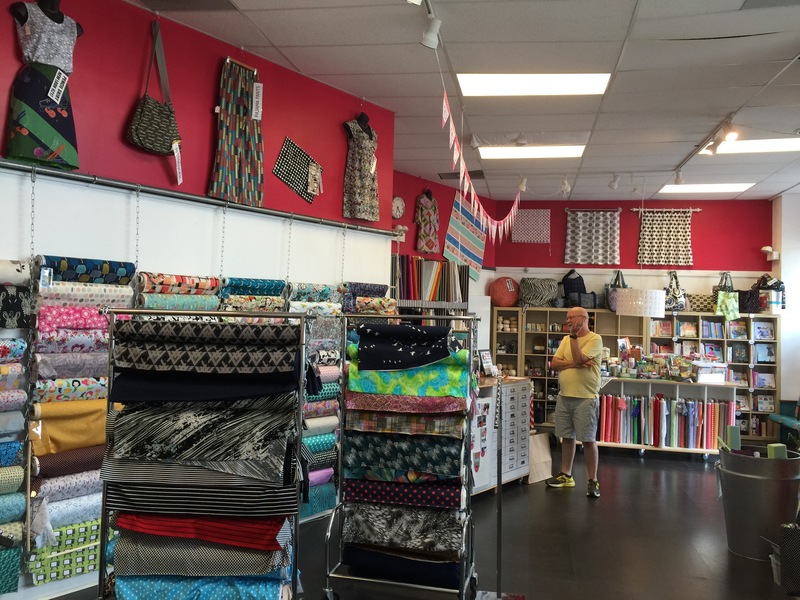 They carry some of the more mainstream fabrics by modern designers. The woman, or shall I call her a dynamo, Gabi was a total hoot. We had a great time hearing her stories, and telling her ours. She told us she’s turning 70 shortly. I hope she doesn’t mind I said that. This lady is so energetic. I can see why this shop, less than a year old, is so popular. All in all, it was a great afternoon spent pawing over fabric, and being inspired. I tried to limit myself from purchasing too much, as I’m still whittling away at my existing stash. I did reward myself just a little bit. This is the first time I’ve been to Chicago for any length of time, and I can tell you, it won’t be the last. I hope you’ve had an equally thrilling week, and have been inspired by this little glimpse into my world. Quilts of the Plains 2015 Photos are posted! 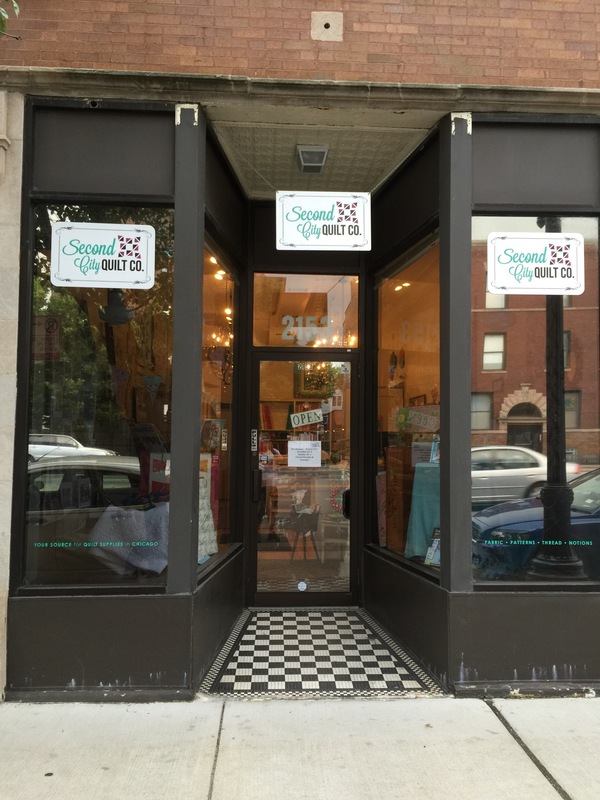 I’m so glad you found Second City! I love how friendly everyone who works at that shop is! I wish you safe travels back to Colorado! Such a pleasure to meet you and Joe! !